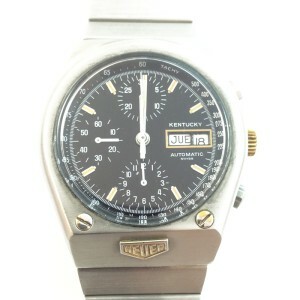 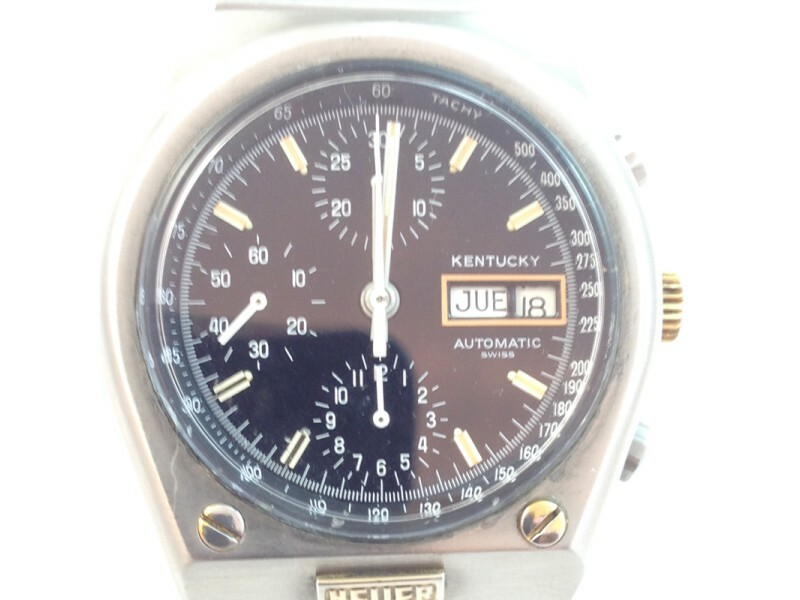 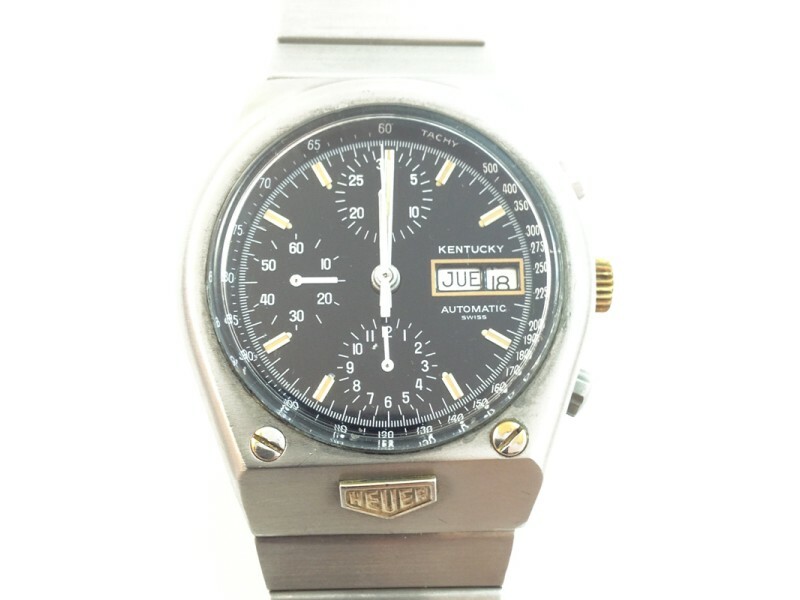 Heuer introduced the Kentucky chronograph in 1977, using the Valjoux 7750, automatic chronograph movement with date signed Heuer. 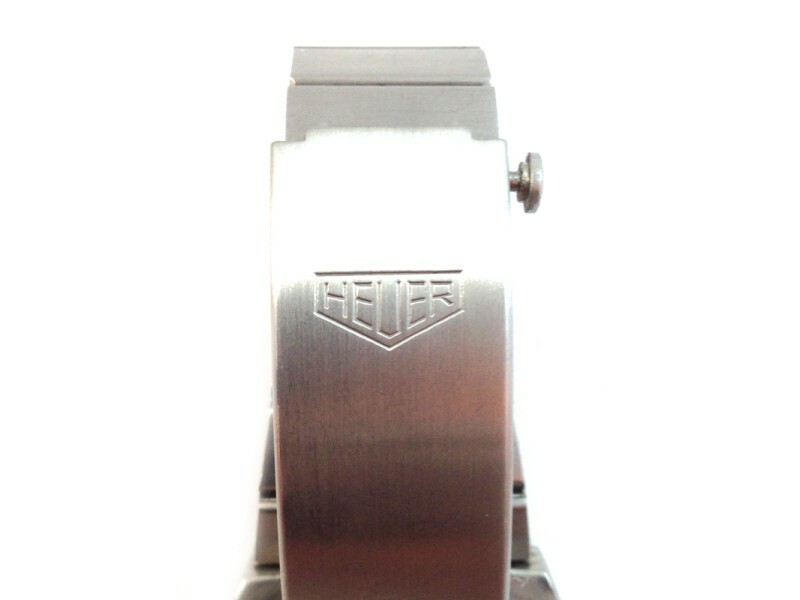 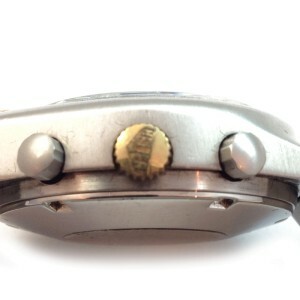 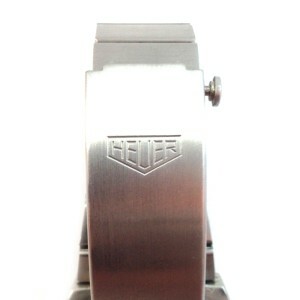 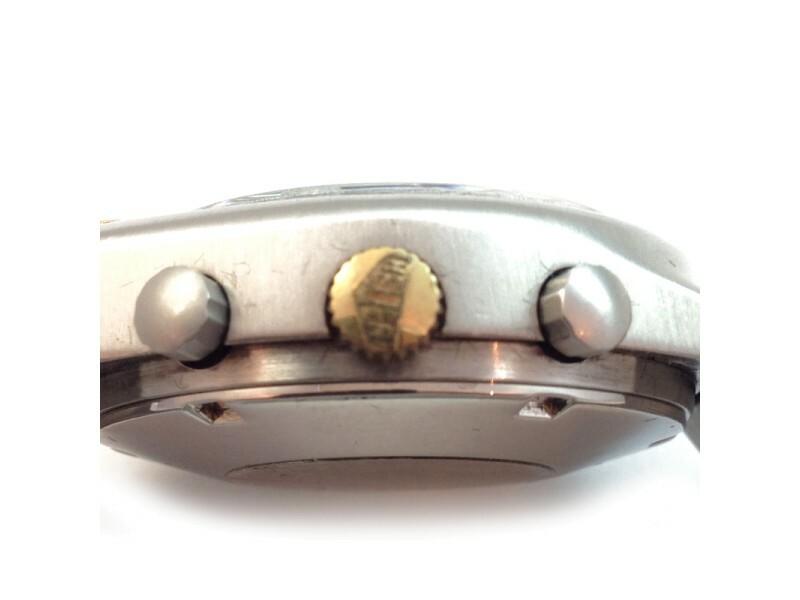 Features stainless steel case and crown with HEUER logo and caseback signed Heuer-Leonidas. 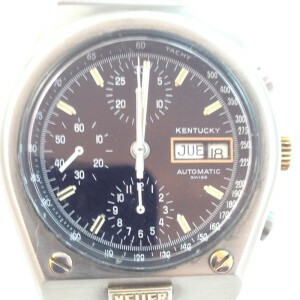 Dial: Blue metallic with three registers, two date windows: day of the week and day of the month and raised hour marks.